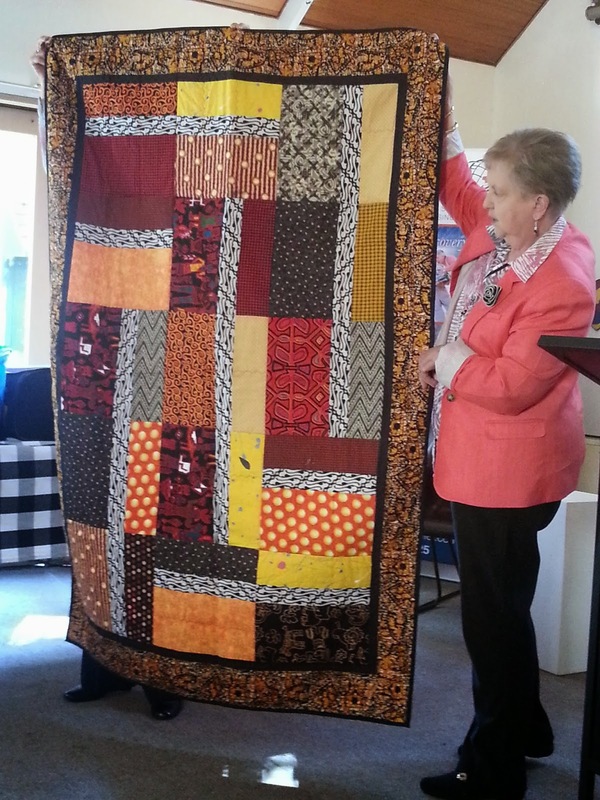 Ros Moules gave a wonderful talk about the history of the Community Quilts program of The Quilters’ Guild of NSW and showed a large selection of the quilts and quilt tops that the group is currently working on. 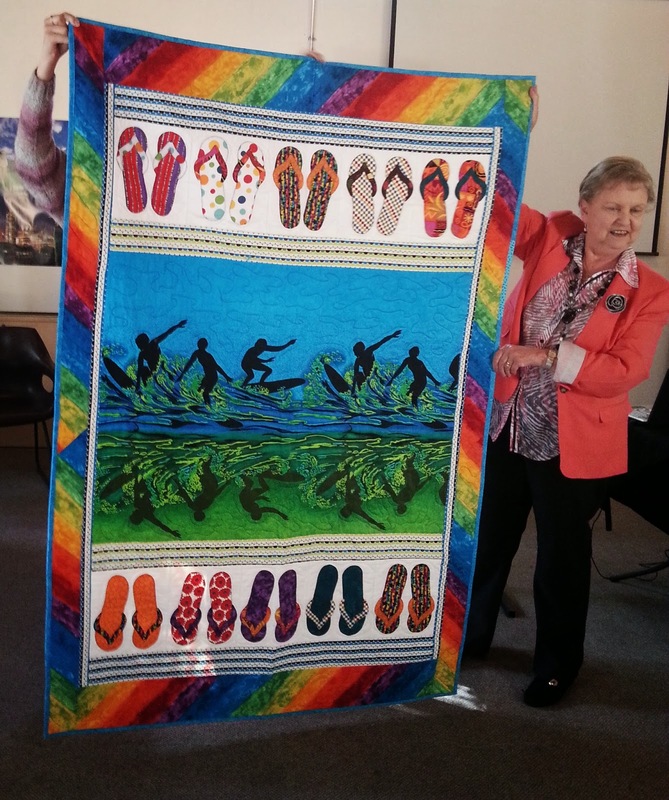 She joined the Community Quilts program of The Quilters’ Guild of NSW in 1991 and took over as coordinator of the program when Ruth Carter died in 1999. 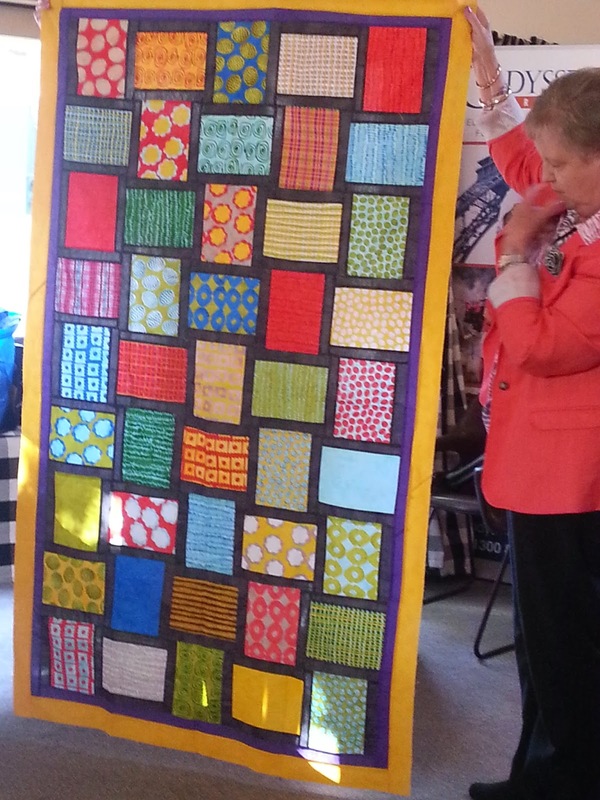 At that stage Ros estimated that the group had made and given away around 305 quilts. 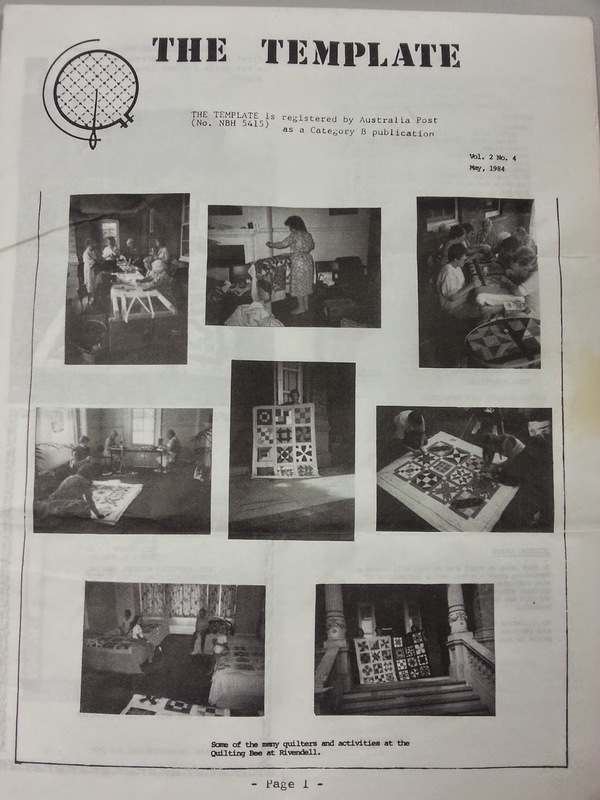 The first Community Quilts coordinator was Nonie Fisher and we saw some wonderful photographs from that first quilting bee they held at Rivendell in Concord in 1983. On that day the group completed seven quilts. By their second quilting bee they had finished 18 quilts and had 20 under way. Ros took us through the progression of the group and there was much amusement when she described the components that they had to use in those days - sheeting as backing, thick poly batting, and what we would now call ‘unappealing’ fabric for making the lap sized only quilts. Now the group make 48x72 inch single bed size quilts, use a preprinted Guild label, and have a number of common and easy patterns they often use to design the quilt tops. 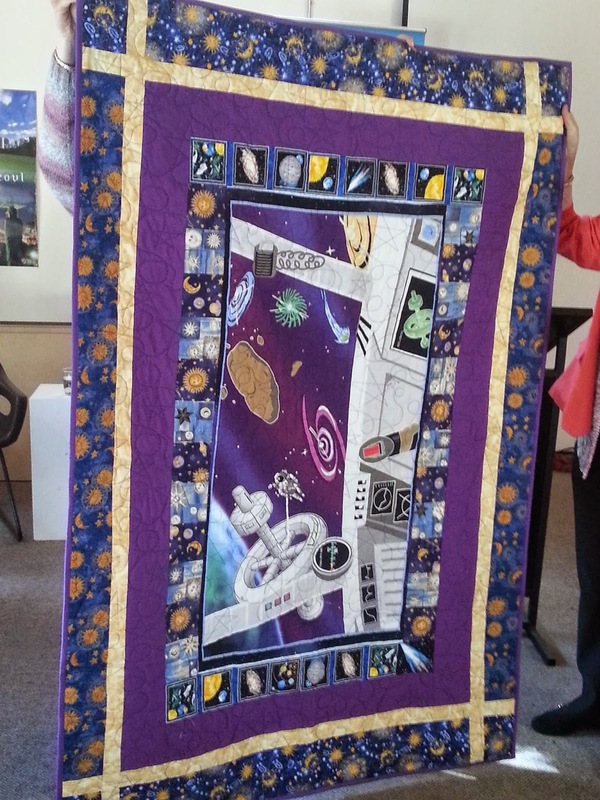 Some long-arm quilters have also donated their time and energy. Since 2011 Bernina has made a yearly donation of $1,000 to the program, which is used to buy better quality fabric for tops and backings. Last year Bernina also donated a new sewing machine to the Community Quilts program. 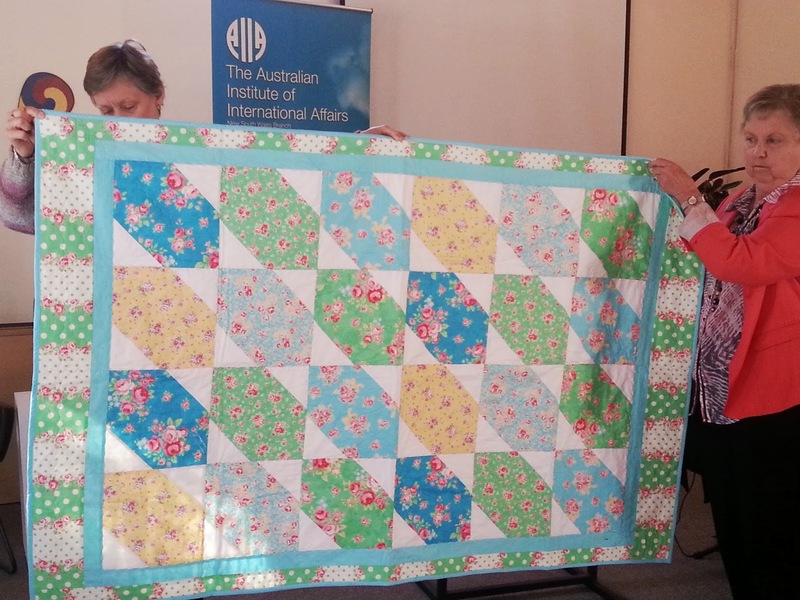 In terms of recipients of the quilts, Ros remarked that even though everyone wants a quilt, not everyone needs a quilt. The work is very rewarding and the recipient's reactions are memorable. They are very careful to find worthy recipients and try to match the style and fabrics to each person. By the time June Fleming died, 100 quilts had been made for Stuart House - all marine themed. Then they made children’s quilts specifically for foster children. 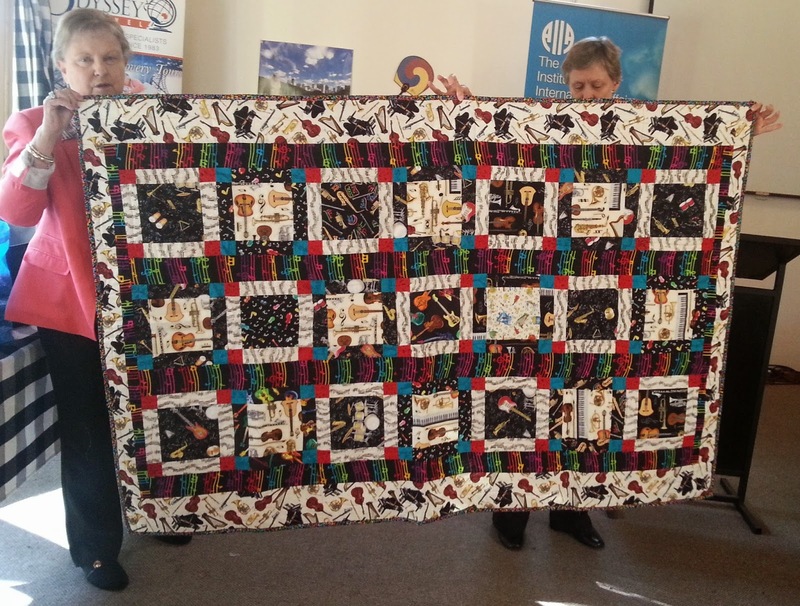 Now their quilts fall into 3 categories - single bed quilts, utility quilts, and raffle quilts. Community Quilts give quilts to the Royal Far West Children's home in Manly, make a raffle quilt annually for Stewart House at Harbord, make quilts for the Baptist Church’s inner city refuge and for the Stretch-A-Family DOCS program for homeless young people, and also for various nursing homes. 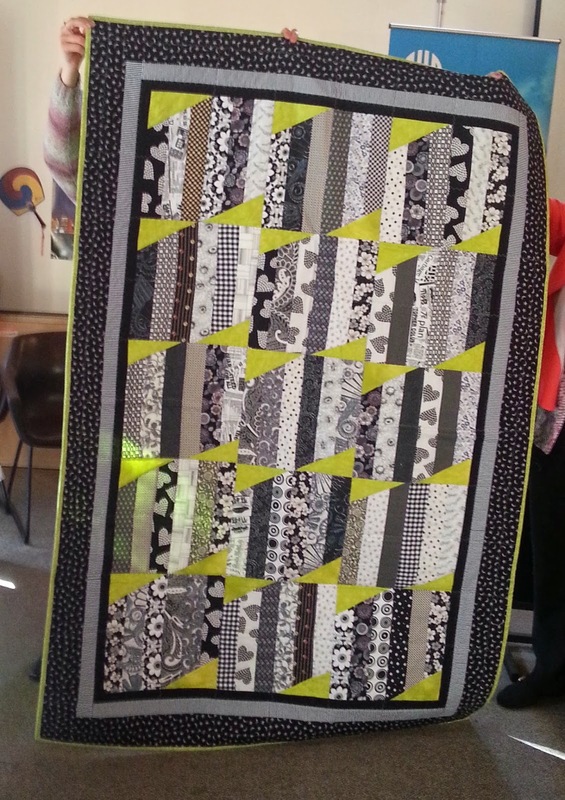 They have also made specialty quilts. These included tactile quilts for blind children, weighted quilts for children with Asperger’s, and a reversible mortuary quilt for a hospital. They do get some UFO quilt tops but if it will take too much effort to fix or if there is no matching fabric, they are reused by contacts who make drainage bags and head scarves for breast cancer patients. Very little given to the group is not used. 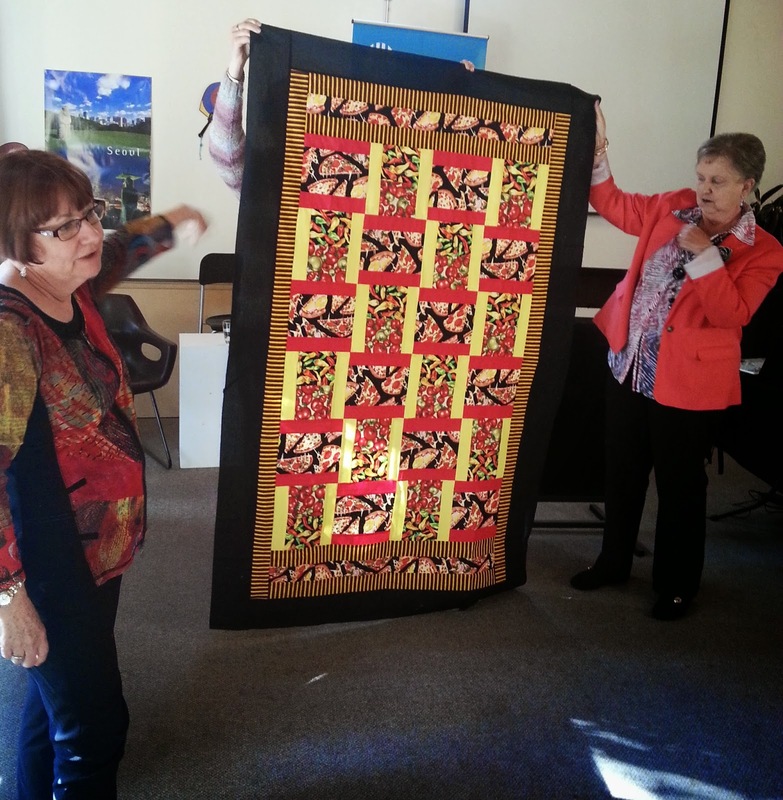 Many people have made quilt tops at home using donated fabric, so on their sewing days the Community Quilts group just pins and quilts in the hall. They finish their sewing day with show and tell of their own and the Group’s work, and at Guild Meetings now they display their latest efforts so everyone can appreciate them. 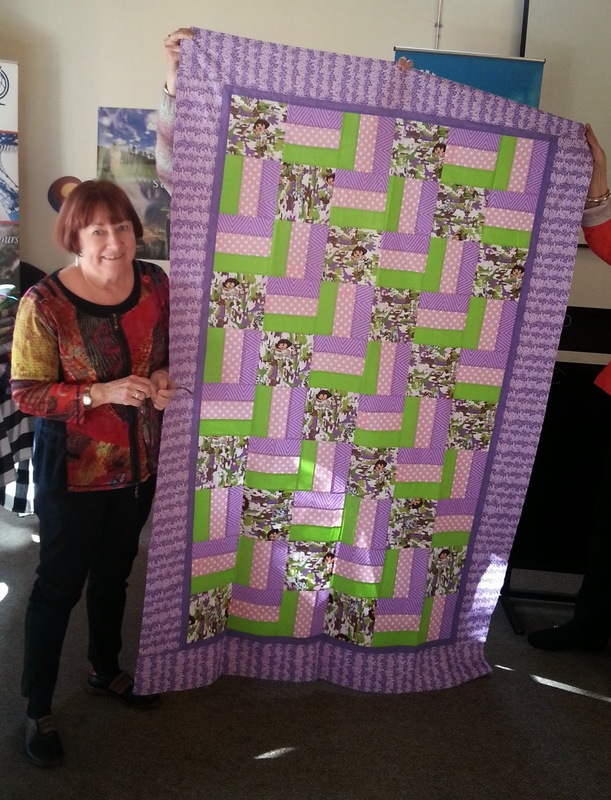 This wonderful group is a credit to the Quilters’ Guild of NSW.